Studio-C is a concept for a digital arts training center. It services school curriculums, resort packages and arts center programs. 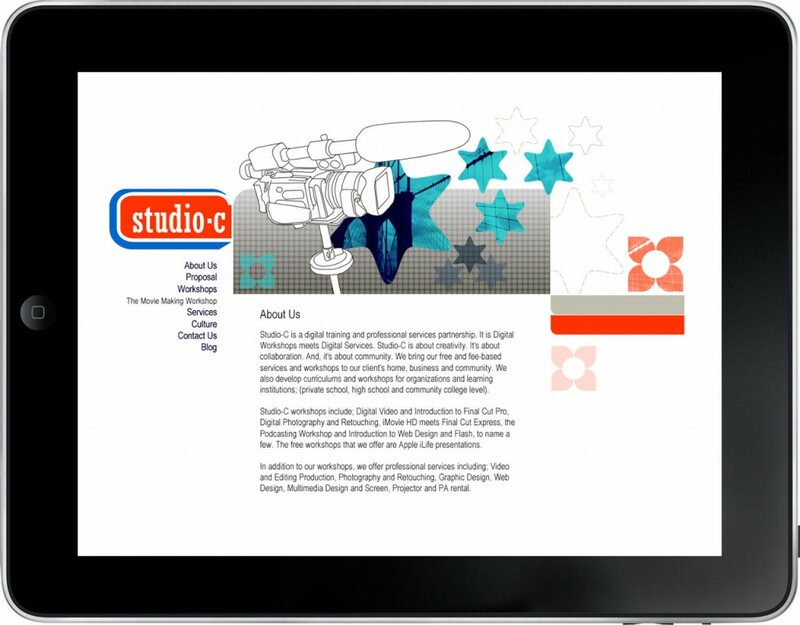 Studio-C workshops are available to young and old alike, and range from introduction to computer and internet, to advanced nonlinear editing workshops. The C stands for creativity, collaboration and community. We created the logo for Studio-C along with promotional T-shirts, flyers, posters and the website.